Anthony Martial is a player for the future of Manchester United – Midfielder Morgan Schneiderlin said sure that Anthony will be a big player for the future of Manchester United. Schneiderlin's kudos are related to the performances of Martial, who scored two goals when the Red Devils a 3-2 win over Southampton at St Mary's Stadium, Sunday (20/09/2015). MU had left by the earlier goal of Graziano Pelle in the 13th minute. After that, the game becomes a stage for Martial showed his prowess with a score two goals in the 34th minute and the 50th. So far, Martial has scored three goals since recruited from AS Monaco in the transfer market last summer. A transfer fee of 36 million pounds to make Martial as the most expensive young player. However, the value of the start proved. Schneiderlin said that Anthony Martial was an extraordinary talent. 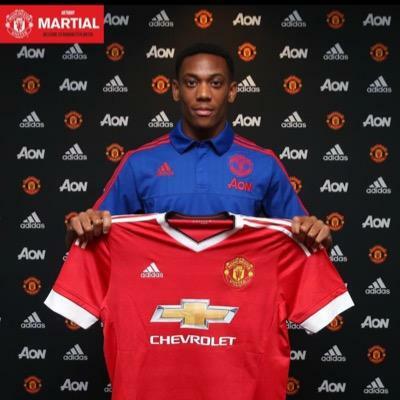 Many people are confused by the price, but Martial came to the Premier League with confidence. Schneiderlin also added that Martial just want to do my best because she is very smart, very quiet, and has the expertise, as well as a great power. Anthony Martial will be a big player for the future of Manchester United. Although happy with the appearance of Martial, Schneiderlin could not hide his disappointment against the Manchester United defense. He considered his team made many mistakes so his team narrowly missing victory.